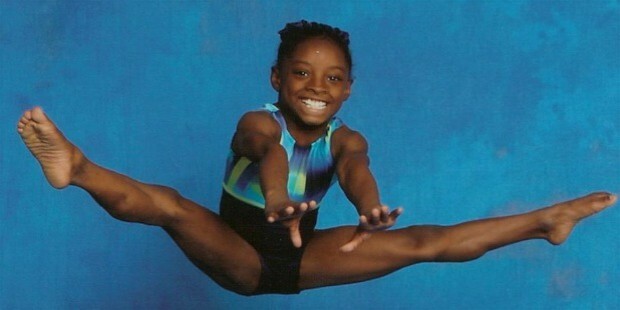 Simone Biles is an internationally renowned professional artistic gymnast from the US. She is also known for having won several titles in a various US and international level artistic gymnast events. 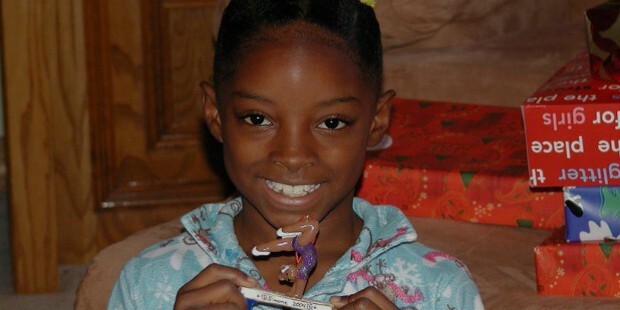 Simone Arianne Biles was born on the 14th of March in 1997 in Columbus, Ohio. 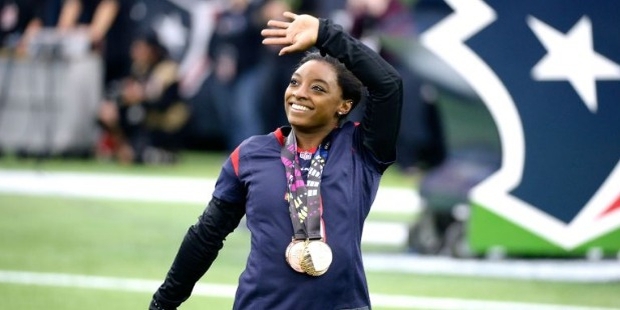 Due to her biological mother’s substance abuse problems, Simone and her siblings were cared for by her mother's, Shanon Biles’, step-father and mother, Ronald and Nellie Biles. 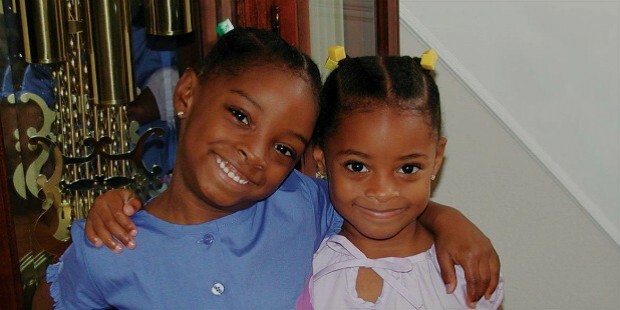 Simone and her siblings grew up with her grandparents in Spring suburb of Houston, Texas. Simone was home-schooled till her secondary grades and she graduated in the summer of 2015. 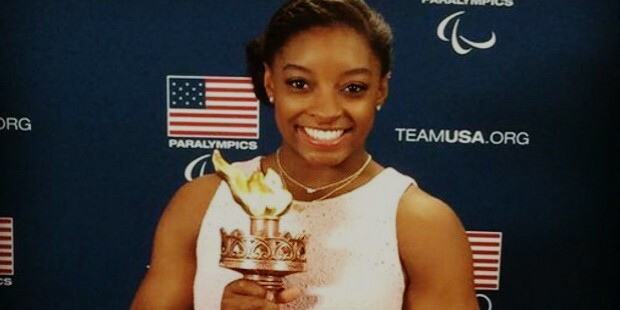 Although Simone had announced her plans to join the UCLA back in 2014, she canceled the plan with the decision to turn full-time professional artistic gymnast in July of 2015. Simone was 6 years old when she experienced her first gymnastic event as part of a field trip in her day-care. Seeing her natural talent, the instructors advised her to pursue professional training. Simone soon started attending one of the optional programs at Bannon’s Gymnastix. She finally started getting professional coaching at the age of 8 years from Aimee Boorman. In July of 2011, Simone made her professional junior debut at the 2011 American Classic, held in Houston, Texas. She claimed the 8th position on the uneven bars, 4th of the floor exercise and 1st on the vault which placed her 3rd all-round. In the same month, Simone also competed at the 2011 CoverGirl Classic held in Chicago, Illinois. She went on to get the 5th position on the floor exercise as well as on the balance team; this got her the 20th position all round. In 2012, Simone opted to choose homeschooling rather than regular public schooling so as to concentrate and put in more time in her training. This decision allowed Simone to increase her training schedule from 20 hours to around 32 hours every week. This resulted in her remarkably improved performance in 2012. Simone starter the year with the 2012 American Classic, held in Huntsville, Texas. She went on to get the 4th position on the uneven bars, 3rd on the balance team, shared the 2nd position on the floor exercise while securing the 1st position in vault and all-around as well. 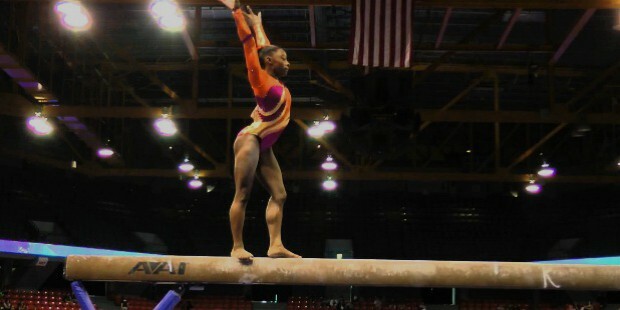 Simone went on to compete in the 2012 Visa Championships as well as the 2012 Secret US Classic, held in Chicago, Illinois. Here, she went on to secure the top-position with 6th on the balance team and 2nd on the floor exercise. 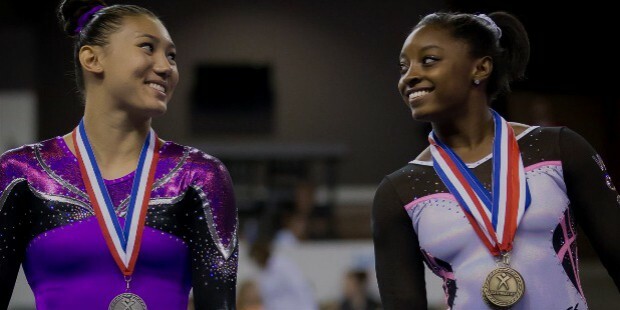 In June of 2012, Simone again competed at the Visa Championships, held in St. Louis, Missouri. Here, Simone went on to get the 6th on floor exercise, balance team and the uneven bars while 1st in the vault as well as all-around ranking. This amazing performance streak earned Simone a place on the US National Junior Team. In March of 2013, Simone made her international senior debut at the 2013 American Cup (FIG World Cup event). Simone also competed at the 2013 City of Jesolo Trophy, held in Jesolo, Italy. Here, she went on the get the top position in the all-around ranking with 1st positions in floor exercise, balance team and vault. This also earned her the first gold medal contribution of the American squad. In the same year, in a competition against the national teams of Romania and Germany, Simone along with the US side went on to win the gold medal where Simone shared the 2nd all-around position with the winning of the floor exercise, balance team and the vault. 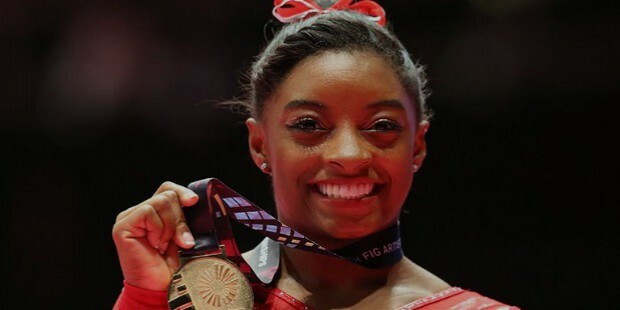 In the August of 2013, at the P&G Championships, Simone won the national all-around top ranking, including 4 silver medals in individual events. She was soon named for the US National Senior Team as well as the World Championships Team. In October of 2013, Simone competed in the 2013 World Artistic Gymnastics Championships, held in Antwerp, Belgium. She went on the win the 1st all-around position with 1st on the floor exercise, 5th on the balance team, 6th on the uneven bars and 2nd on the vault in the finals. This also made Simone distinguished as being the first American gymnast since 1991 to have qualified for the all-around and the 4 final events. Simone achieved the distinction of being the 7th American and the 1st African-American to have won the all-around world title. In 2014, Simone stayed out of the AT&T American Cup due to a shoulder injury. She finally debuted at the Secret US Classic, held in Chicago. She went on to win the 1st position all-around with a remarkably wide lead ahead of the 2nd place with the inclusion of the 1st position in the floor and the vault, with the beam event having tied with US teammate, Ross. Simone went on to win the national all-around championship at the P&G Championships with a lead of 4 points ahead of the silver medalist. In September of 2014, Simone competed in the 2014 World Artistic Gymnastics Championships, held in Nanning, China and helped her team win the 1st place in the qualification for the team finals. She went on to help her team win its 2nd consecutive world team championship. In the 2015 AT&T American Cup, held in Arlington, Texas, Simone went on to be placed 1st all-around with a total score of 62.299. She also went on to win the 2015 City of Jesolo Trophy with a final score of 62.100. 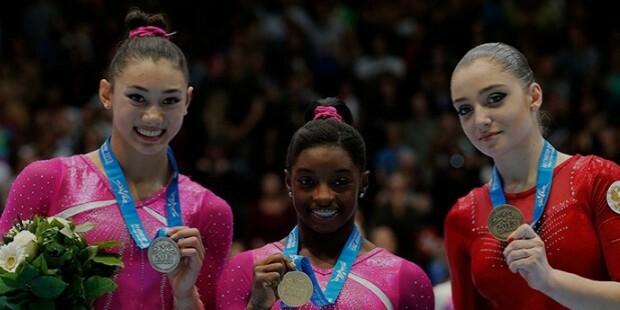 Simone entered the Secret US Classic and got the 1st position all-around, with a final score of 62.400. In July of 2015, Simone announced her decision of turning professional and signed a contract with Octagon. She went on to compete in the 2015 US National Championships and secured the 3rd all-around position in the national title. This also made her the 2nd woman gymnast in 23 years to have done so. Simone went on to compete at the 2015 World Artistic Gymnastics Championships, held in Glasgow, Scotland. She went on to score 60.399 in the final all-around which also helped her become the 1st woman in international gymnastics history to have achieved 3 all-around World Gymnastics Championships title consecutively. She ended the championship with a final medal tally of 14 World Championships medals and this made her the 1st American as well as the 1st woman in the World Championships history to have done so. In the 2016 Pacific Rim Championships, Simone went on to win the 1st position all-around with the highest score on the vault, balance beam and the floor exercise. In August of 2016, Simone competed at the Summer Olympics, held in Rio de Janeiro, Brazil. She went on to qualify for the team and the individual final in the all-around. She went on the win her 1st Olympic medal on the 9th of August at the team event for gymnastics. She later went on to win the gold medal in the individual all-around title event. 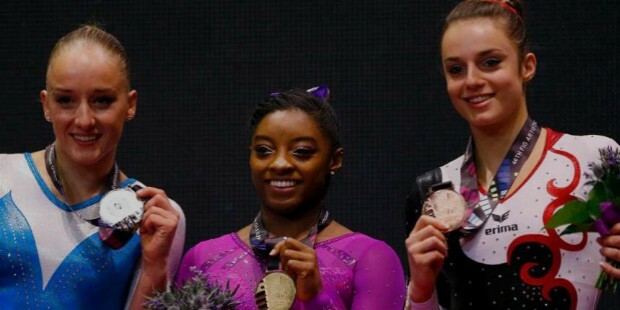 Simone Biles is the winner of the world all-around championship 3 times as well as the world floor championship. 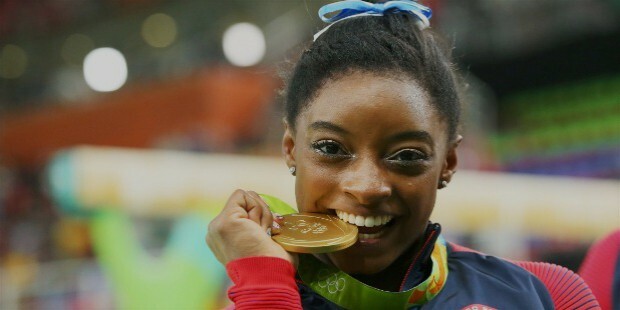 Simone is most recognized as being the 1st female gymnast to have won the world all-around titles thrice in a row.